« Pacific NW Portal 5 launches tomorrow! Moments ago, we retired the old Pacific NW Portal, which has been online in its current incarnation for over half a decade, and replaced it with Version 5.0, codenamed Newport. (Pacific NW Portal releases are named after cities and towns on the Oregon coast. The last major release was Seaside). 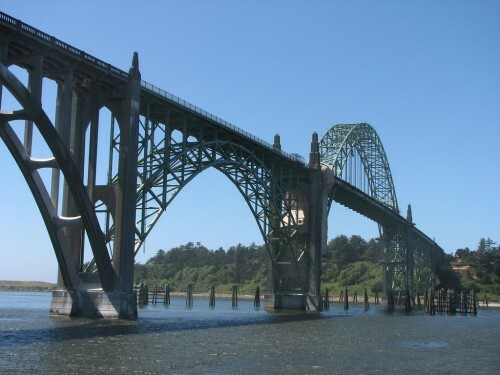 The Yaquina Bay Bridge is Newport's most recognizable landmark. It first opened in September 1936 and cost more than $1 million ($16+ million in today's dollars) to build. It consists of steel arches and reinforced concrete. (Photo by Trout, reproduced under a Creative Commons license). 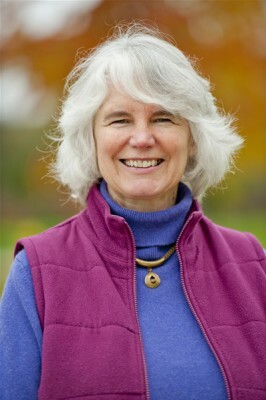 Newport is dedicated to the memory of founding NPI board member Lynn Allen, who was a great mentor and kind friend to me and the rest of our staff for many years. We lost Lynn to cancer almost exactly ten months ago and miss her still. I actually first became acquainted with Lynn a few days after Pacific NW Portal initially launched on January 31st, 2005. From the beginning, she was incredibly supportive of the project, and it became one of her favorite things. A few months later, at Daily Kos, she expounded on those sentiments. There’s something wonderful happening in the Pacific Northwest and particularly in “blue” Washington State. Because we have a Democratic governor and a (just barely) Democratic Legislature, we are able to show the country what good government really means. We have strong activist environmental and women’s and social justice groups. We have a robust progressive grassroots. We have a history of being practical and real. Now, just this year, we are growing a strong liberal blogosphere that is helping tie all this together across three states and Pacific NW Portal is key to this. Just as Daily Kos and TalkingPointsMemo and others national sites have become a national spokescenter for the liberal blogosphere, so too is Pacific NW Portal doing that for our region. It is a very important central information clearinghouse and allows the rest of the progressive blogs to have an echo chamber that amplifies what we are able to report and focuses the grassroots on the critical issues of the day, the week, the year. As a progressive region, we are becoming a model for the rest of the country and Pacific NW Portal can become a model for other regional blogospheres as well. Pacific NW Portal is now nearly seven years old (its birthday is only a month and a week away). It has aged greatly since its last major release – Version 4.0, or “Seaside”, in May of 2006 – despite receiving minor updates in the intervening years. And that’s because the Web is a fast-changing medium. Five years might as well be five decades… the Internet seems to have its own time. But as of tonight, Seaside is history. It has been superseded at last. I want to stress that we did not develop its successor (Newport) in a vacuum. Pacific NW Portal 5 is a site built for the 2012 web, not the 2007 web. It uses the HTML5 doctype, WebM video format, and, in many places, takes advantage of CSS3… while still managing to be backwards-compatible enough so it doesn’t look like a mess in older browsers. It was also tested on smartphones and tablets in addition to desktop operating systems. In 2012, we will be following Mozilla’s example and adopting a rapid release cycle for Pacific NW Portal. While we don’t plan to raise the version number by an entire integer every six weeks (we don’t see that as necessary), we do plan to release updates and improvements incrementally, just as Mozilla now does with Firefox. So you can rest assured that more updates will be forthcoming on a regular basis. Think of Newport as a beginning, not an end. We cordially invite you to explore the all-new Pacific NW Portal 5 and share with us your comments, questions, and suggestions.